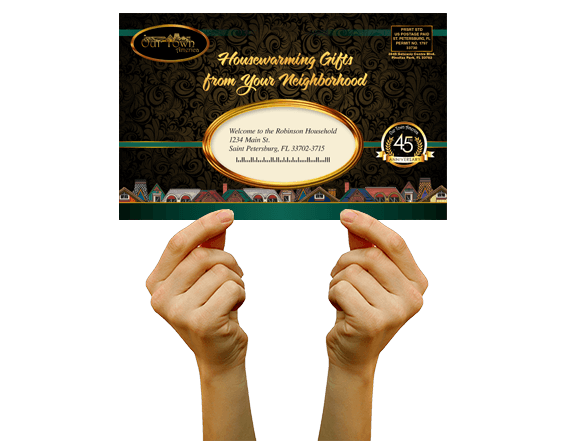 Our Town America would like to welcome you to your new home by sending you our Welcome Package filled with housewarming gifts from local businesses in your neighborhood. Once we confirm your move and your name and address are validated in our system, we may send you our Welcome Package. Contact Us for more information about requesting your mailing today!